Anyone who’s ever spent a day working the land knows this: injuries to your hands are a serious deal and can even threaten your livelihood in the most unfortunate accidents. 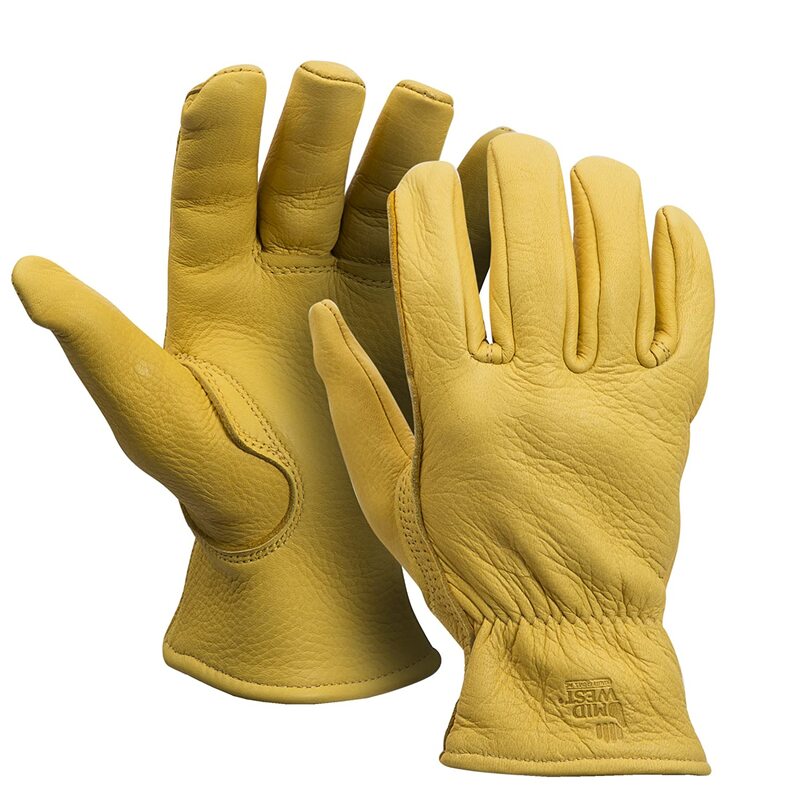 Whether you’re a market gardener or the farmer milling their own lumber for a side hustle, the right pair of work gloves can both make your life easier while protecting your hands. Our step by step guide is here to help you find the best gloves for your farm work. While it may seem complicated at first, the truth is that some careful consideration makes it that much easier to find a good fit. Here’s everything you should consider while searching for gloves for farm work. Your hands will face a variety of risks in a given workday, so different chores may need different work gloves. First things first, you’re going to have to take the time and picture the daily chores you do with your hands. Yep, think about your hands. They’re a pretty big deal. From slivers to cuts to dangerous machinery like chainsaws, your hands may face a wide variety of hazards. Keep these hazards in mind when you’re considering which type of work glove would best suit the work you do on your farm. For example, a farmer in cold climates will need to look for warm gloves, as cold hands lose dexterity quickly and can lead to mistakes. Those who routinely work with dangerous machinery like chainsaws will need work gloves specially designed for that purpose. There are a few different types of cut resistant gloves to keep in mind. Horticulturists or anyone routinely harvesting plants with a sharp blade will significantly benefit from work gloves made from cut-resistant materials. Often it will make the most sense for them to look for a pair of work gloves that offers maximum dexterity in addition to the cut protection. On the other hand, those who routinely work with dangerous machinery like chainsaws will need work gloves specially designed for that purpose. These gloves will usually feature a left hand that is bulkier than the right, as the left hand is closer to the chain when the chainsaw is in operation. These gloves also help dampen the effects felt from the excessive vibration associated with chainsaws. Take time to carefully consider the extreme weather you may or may not experience on your farm. 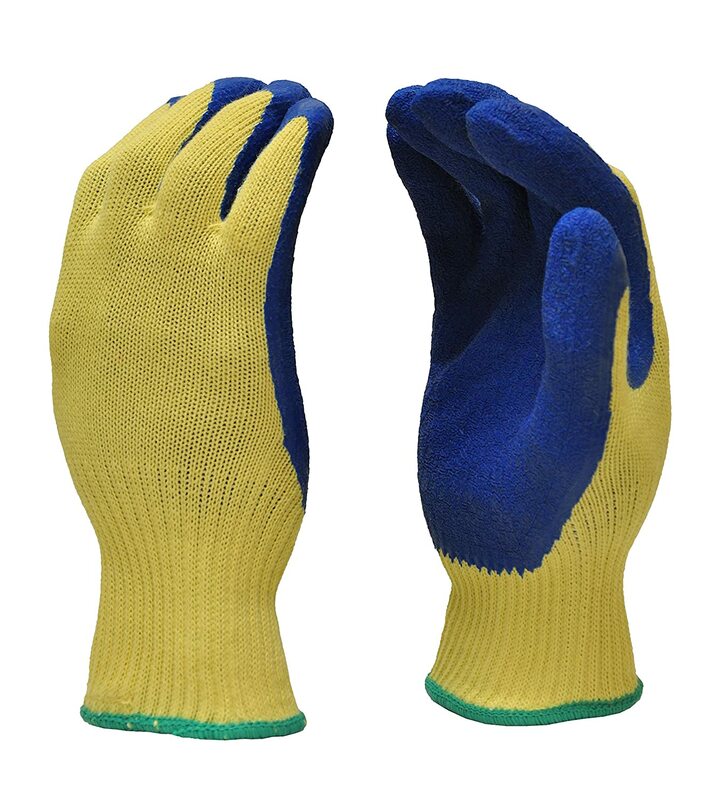 Farmers that are accustomed to working in bitter cold temperatures will benefit from insulated gloves that keep your hands warm. More than just a matter of comfort, cold hands are much more challenging to work with and can lead to unwanted errors. Working the land during winter is no joke. Look for insulated gloves that help you retain more warmth in your hands. While it depends on the type of farming you do, it would be wise to consider whether you need work gloves that are made of chemical resistant materials. If you need chemical resistant gloves, take care to ensure that the gloves you’re looking at are resistant to the chemicals you most frequently encounter on your farm. An affordable option for those looking for cut-resistant work gloves, these work gloves from G & F Products is designed for those who regularly work with sharp objects. Constructed from cut-resistant Kevlar fiber and coated with blue latex for additional protection, these gloves are built to offer protection while maintaining dexterity. These gloves would be a good option for horticulturists who would like some additional protection from blades while maintaining most of their dexterity. It’s important to note that users have indicated that these gloves are accurately described as cut resistant but don’t offer much in the form of puncture-resistance. If you are looking for a work glove that provides puncture resistance, you’ll likely need to look for a glove with a more substantial construction. Good ol’ buckskin work gloves. Who hasn’t marveled at a carefully constructed pair of buckskin gloves? These work gloves from Midwest Gloves & Gear are American made and are built from genuine deerskin. As practical as they are beautiful, these gloves are an excellent option for those looking for both exceptional performance and an iconic look. While these gloves may not have the cut-resistance that some are looking for, they offer protection from slivers and other nasty things while allowing for impressive dexterity. They would be an excellent option for anyone who merely wants an extra layer to keep their hands in good shape while doing chores around the farm. Most users noted that the gloves ran a little large so it might be best to consider ordering a size down. 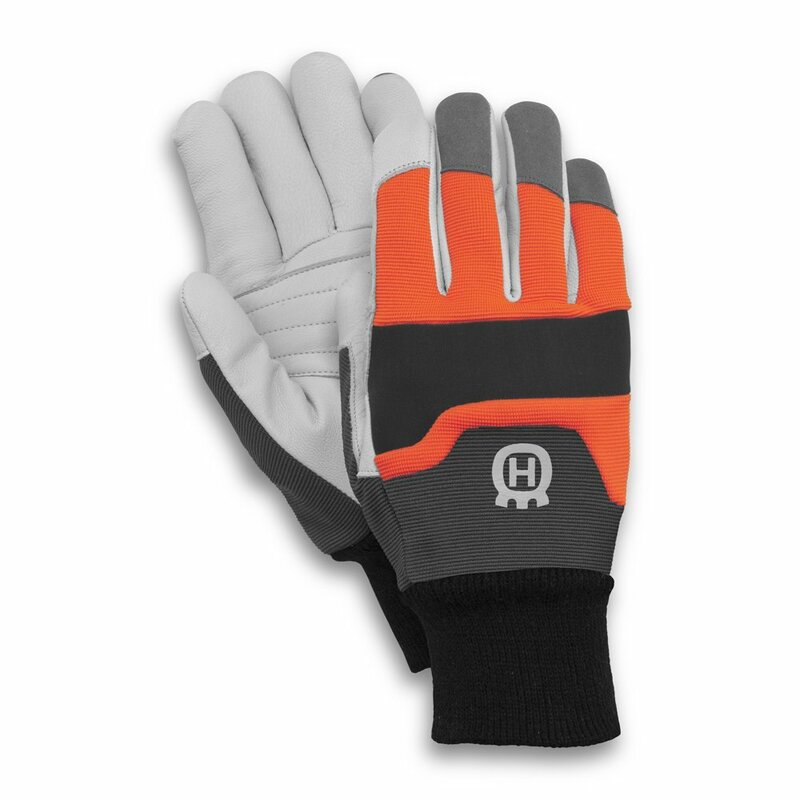 Designed specifically for use with a chainsaw, these work gloves from Husqvarna are well-constructed and designed to protect your hands in the event of an accident. As your left hand is closer to the chain when operating a chainsaw, the left glove in this pair is constructed from cut-resistant materials to offer additional protection. We’re stating the obvious here, but these gloves would be an excellent fit for anyone who routinely operates a chainsaw on their farm. They’re built to offer the blend of protection and dexterity needed to run a chainsaw safely. Users have noted that these gloves are very comfortable to wear. Those who are left-handed and operate a chainsaw with their right hand closer to the chain should look for a different pair of work gloves as these gloves wouldn’t provide the protection they need. While we always choose the best product in this part, the truth for this post is that each of these gloves serves such a different purpose that it’d be impossible to choose the “best” glove. With that said, we’re still allowed to have a favorite. Maybe we’re crazy for all-things deer, but we could never turn down some beautifully crafted buckskin gloves like the pair made by Midwest Gloves & Gear. These gloves can provide excellent protection for your hands while allowing for impressive dexterity. That sounds pretty great to us.